Easily ADD YOUR PHOTOS by Clicking the teeny tiny blue word “Change” located underneath each of my Temporary images. Follow the prompts the “Upload New Images” and or “Select Images to Upload” and then click the “OK” button. You did it. You just learned how to make your own laptop case. This is the New Skinit Smart Phone Cases Covers from Zazzle. Get even more protection on all sides of this Smart Phone Case for Women and Men. Choose your Background Color and which of the many Smart Phone Cases you would like such as the Samsung Galaxie, iPhone’s, HTC Vivid Cases etc…. My love of flowers and tropical weather inspired this design. With the help of Busheezy artist erind and my enhancement, I came out with a gorgeous design. I made Floral Hawaiian T Shirts for women, girls, babies and even pacifiers. It is such a cheerful design. If you are dreaming of the tropics and want a nice warm reminder of your vacation, you will love this design. 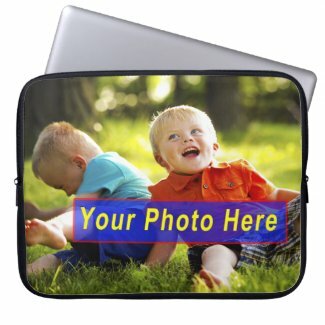 See Many of my Original Designed and Customizable Device Cases by Clicking the Image of this Category. I started working as a Designer and Associate for Zazzle because of the High Quality Products they use and Super Crystal Clear Printing. After seeing Zazzle on the national news and heard their mission, I began looking into Zazzle. I had heard of it but really didn’t know anything about them. My family and I have since ordered many products to give that special personalized look and statement. We added names and messages along with photo to the gifts. How much more special can you get.